Capcom have gone and revamped the spine chilling franchise that is Resident Evil, with their latest brand new release, ‘RE7: Biohazard’. This is a return to form for Capcom, after some disappointing Resident Evil releases, such as Resident Evil 5 and most definitely Resident Evil 6, or the recent Resident Evil: Origins Collection, as the 7th instalment to the series blends in the first person shooter view, to a nice and terrifying, immersive medium with no unlimited bullets. This game is entirely playable with the new VR Set, so if you really want to scare yourself, completely immerse yourself in Resident Evil 7 and take on some zombies with some bloody insane and scary moments; in these unsure times. Here check out the game trailer. This game is “Scary and Grim” and the graphics are truly insane. Welcome to the VR (virtual reality) terror from Capcom, hopefully you have a pistol with you, with enough bullets left in the chamber, ya’ kna’ mean? Or do keep that knife close at hand, because it’s gonna’ get messy, up in here! It’s been over 20 years since the first release of Resident Evil on the PS One in 1996, which was a groundbreaking 3rd Person mystery-adventure game, where you discovered the reasons for the zombie outbreak in Raccoon City and the many evil secrets of the Umbrella Corporation. Fast forward to 2017 and check out this in-gameplay video for RE7. One thing is clear is that the AI (artificial intelligence) in this one, is highly immersive and refreshing. It’s enough to give you nightmares, right? That is if you’re going to go full VR, which is only supported on PS4 for the first year (winning) not Xbox, but, do you even have enough time on your hands to play this game? The game sure does look tempting either way. 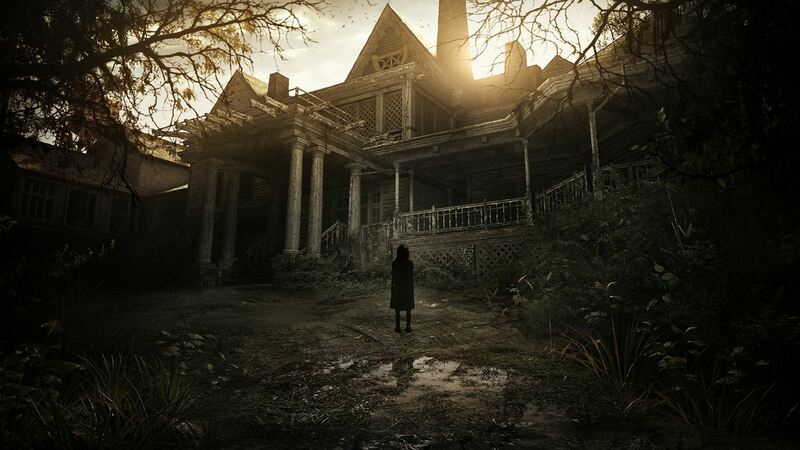 Here are some things that you must learn before you buy Resident Evil 7. It’s a good learn over 15 points down below. It looks like there’s definitely no more ink ribbons to speak of; and the plot has nothing to do with any of the previous films, thank god! Resident Evil was a game first, of course, but this is also a new story about classic character, “Ethan”, needing to save his wife from her captors and the subsequent mission of escape from the Baker Family House in Louisiana. To add to the existing tension in the game, reportedly weapons will be scarce, so you’ll shuffle around looking for green plants with a hunting knife, which is all that stands between you, and you becoming chewed on by a zombie of some kind. So, keep those shotgun shells for when you absolutely need them, just like the classic Resident Evil games, which sounds fair enough, right? Here you can find out more about the story, but don’t watch it, until the end, that would be a major spoiler. Nobody likes a spoiler, but it gives you a great insight of what you will be facing along your way. Pretty neat, especially the Louisiana wilderness leading up to the Baker house, so will there be alligators, too? Definitely mosquitos and humidity, it seems, plus puzzles and your usual brain training, so much so, that you may even need to refer to this video up above, just to remember what to do next? Or just pay for a walkthrough, so that you don’t get stuck again. This truly looks like the best Resident Evil game in eons and we recommend that you go out and buy it. Especially, since this is a huge step forward for the franchise as a whole, after losing traction and fans after the last few releases. Resident Evil 7 is here to rectify the issue of soft ‘RE’ games gone by; so plenty of people will be stuck on their Playstation 4’s this weekend, much to the horror of any girlfriends watching in the background. You can always scare them with the full VR for Playstation 4 experience. The horror will bring you closer. This is truly a first definitive look at the type of VR games that will definitely alter your reality, until you switch off the game, that is. Happy gaming! Pretty gruesome scenes, all around! Order the VR from Amazon here.